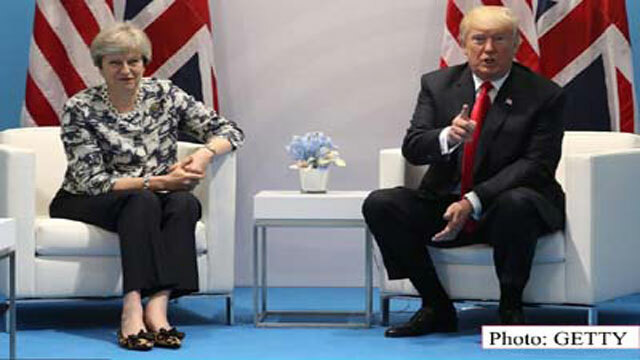 M Mushfiqul Fazal from Hamburg, July 8 (Just News) : The US president, Donald Trump, has said he expects a trade deal with the UK to be completed ``very, very quickly’’. Speaking at the G20 summit in Hamburg, he said he would go to London. Asked when, he said: ``We'll work that out’’. The US president was speaking ahead of talks with UK Prime Minister Theresa May to discuss post-Brexit trade deals. It was one of a series of one-to-one meetings with world leaders. Before their meeting, Mr Trump hailed the ``very special relationship’’ he had developed with Mrs May. ``There is no country that could possibly be closer than our countries,’’ he told reporters. British Prime Minister May is using the G20 to pursue post-Brexit deals with the leaders of the world's biggest economies. Only one of the leaders she is meeting is from the EU, as she has deliberately targeted countries that will be fertile ground for British goods and services post Brexit.